Respawn has announced its plans for additional Titanfall 2 content coming in the next few months. If you're still playing Titanfall 2, you can expect to see some new content in the coming months. 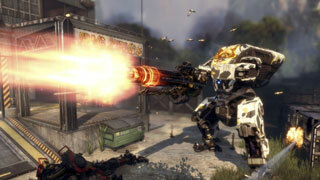 Respawn has offered up a look at just what's coming to its shooter between April and June. There were no details of just what the new Titan will be, or exactly when any of these additions will be released. Respawn's plans do include increasing the Gen level cap to 100, adding new setting for private matches, adding a new multiplayer faction, and new Pilot executions. During this same period, the developer plans to add the Marked for Death game mode and update matchmaking as well. There will also be new cosmetic content added for purchase in the game's store. 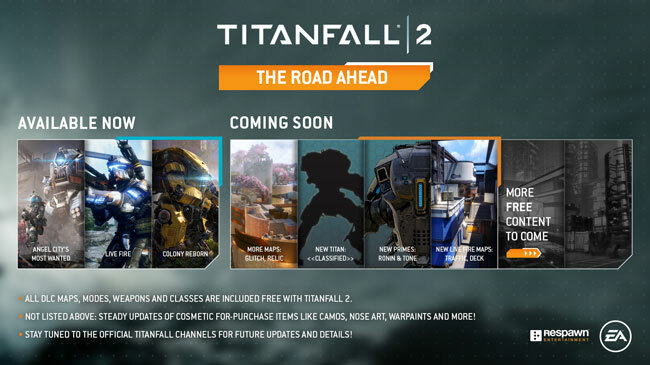 You can find more details over on the Titanfall 2 official site. Personally, im hoping for the Quad Rocket from TF1 and the campaign. I got a looooot of mileage out of that thing. Hopefully I find this game in the bargain bin. I promised myself I wouldn't buy any full priced PS4 games until I move to PC. It was on sale on PSN a couple months ago, so it might go on sale there again. Same. The first had some twitch, but this is just crazy. That, and the matchmaking, and the tissue-paper titans really have made the game just incredibly frustrating for me.